As a philanthropy based organization, Delta Phi Mu stresses the importance of donating community service hours to the Greater Lafayette area, and surrounding communities. Sisters complete on average, 40 hours of community service a semester. Areas where sisters have volunteered these hours include GlenAcres Elementary English Languate Program for non-native speakers (a parternship with the Lafayette Adult Resource Academy), the C.H.A.P.S. (a theraputic riding program), the YWCA, the Lafayette Zoo, area assisted living homes, and the Lafayette Food Bank. 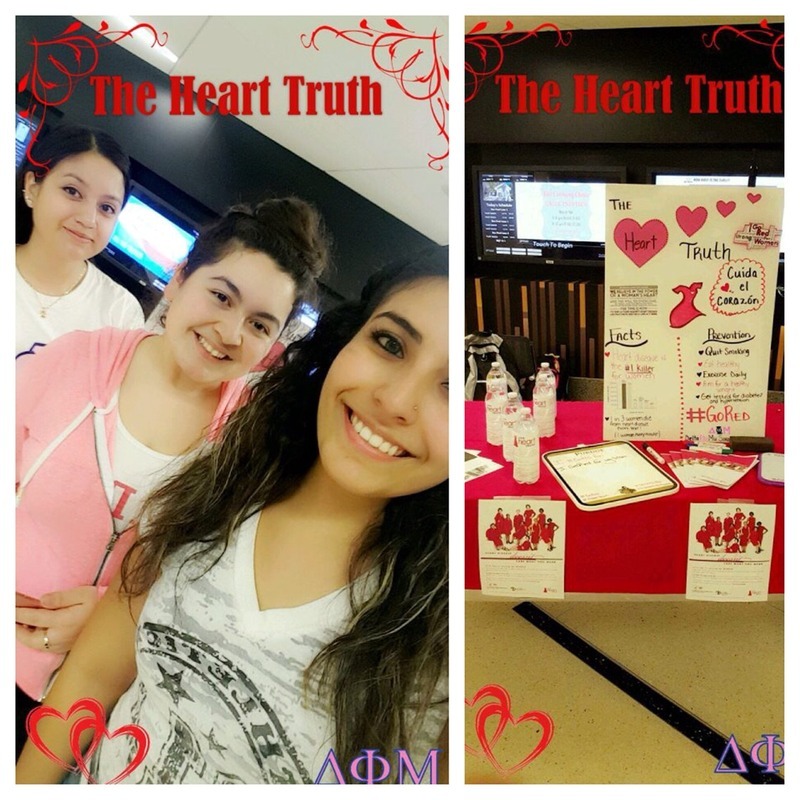 Alpha Chapter also participates in the Delta Phi Mu National Philanthropy which supports the National Heart, Lung, and Blood Institute in its fight against heart disease. The National Heart, Lung and Blood Institute created the program "The Heart Truth", in conjunction with the "Go Red for Women" program and the "Red Dress" program, to raise awareness of the risks of heart disease. Heart disease is the #1 killer of women, specifically women of color. Events have included the Annual Heart Walk, Valentine's candy sales to raise money for the Institute, "First Fridays" programs where sisters where red to support, and Shop for a Cause, through Macy's. For more information on how you can get involved in The Heart Truth campaign, please visit www.hearttruth.com.